No deal Brexit: Are we heading for another Windrush scandal? The Home Office appears totally unprepared for what's to come. The UK Visa and Immigration department is already running at full capacity, according to evidence given to a House of Commons committee. Cutbacks and the closure of regional processing centres are having a shocking impact on visa services. No deal risks tipping it over the edge. The errors are mounting. At the new combined centre in Sheffield, mistakes have been noted during processing. This includes incorrect requests for documents, such as requesting a tuberculosis certificate from a country that didn’t need it, and simple Tier 2 Visa requests being marked as complex. There have also been issues with Tier 1 Entrepreneur visas. This raises the question: how do we expect the service to cope if a no-deal Brexit happens? While the fee has been scrapped, EU citizens will still have to apply stay. There will be EU citizens who don’t know they need to apply for a visa or simply forget to. They may be vulnerable or think they are OK because they already hold permanent residence documents. If large numbers of people don’t apply, that is likely to increase the immigration caseload significantly. Another challenge is how quick the visa can be processed. Current processing times of EEA applications are taking six months. The system is already struggling to cope – and the strain will rise further if all of the three million EU nationals currently in the UK apply, and those who want to come to the UK. Each caseworker is responsible for 1,500 of the 3 million EU applications, according to evidence to the House of Commons. The department is failing to recruit enough staff – despite a previous report by the Institute of Government finding the government would need to hire 5,000 extra staff to sort out the post-Brexit immigration system. The Home Affairs Committee heard from union officials that “a lack of clarity and direction about the Department’s plans for Brexit was frustrating an already over-stretched workforce.” They told the Committee it can take up to nine months for new staff to be recruited and trained. 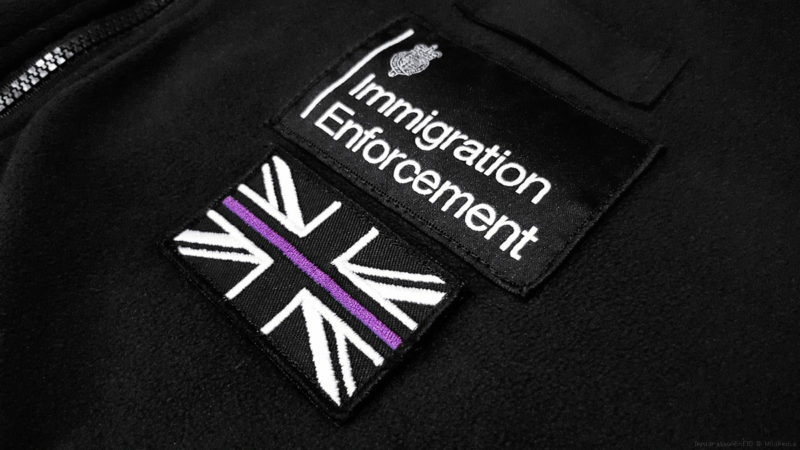 “On current figures the Government’s proposals would require Home Office staff to register— and potentially enforce immigration rules—for an additional 230,000 people in each year of the transition period,” the Committee report stated. Even without these issues, we can see the system has been fractious. Since 2010, the number of EU migrants being held in detention centres has increased from 1,000 to 5,000. Yet these are people who – under EU free movement rules – are able to live, work and study in any other member state. Article 28 of the Citizens Directive 2004 states that an EU citizen can only be deported through reason of public policy or public security. Recently, the High Court ruled that homeless EU citizens could not be deported. But why – if EU citizens are entitled to be here – are we seeing such action in the first place? It’s clear the Home Office is struggling. Brexit and its implications could lead to a scandal similar to Windrush where dozens are held and lose their legal rights. Those affected were entitled to be in the country but many were still deprived of their homes and jobs. Some were threatened with deportation. Significant numbers of new Home Office staff will need to be employed and more resources given to them if we are to avoid a ‘cliff edge’ on EU citizens’ rights – where they suddenly lose them. A no-deal Brexit will be disastrous for EU citizens. The current immigration system is already buckling under severe pressure, and that is only likely to get worse over the coming months. Theresa May should drop her aim to cut immigration to the tens of thousands. She should properly staff, resource and fund her Home Office department so that it can cope. If she doesn’t, many will be wondering what on earth she is doing. Jack Gevertz is a political commentator for the Immigration Advice Service, a country-wide organisation of immigration lawyers which provides Brexit, EU settlement and citizenship advice.